Designed to be readable and fast, the new site was conceived by &Larry, one of Singapore’s leading design studios. The remodelling was driven by several factors, most notably the fact that traffic has far outgrown the Blogspot platform it was on. And because our readership is now substantial – we are the biggest English language watch blog in Asia according to Alexa – we are also moving onto the next phase. While Watches By SJX was previously an amateur effort, essentially a one-man show, it will now evolve into a professional one. So the team will grow carefully (drop me a line if you want to join us) and we work with select commercial partners. For the readers, however, the substance of Watches By SJX remains the same – clear, honest and reasoned writing about watches and watchmaking. 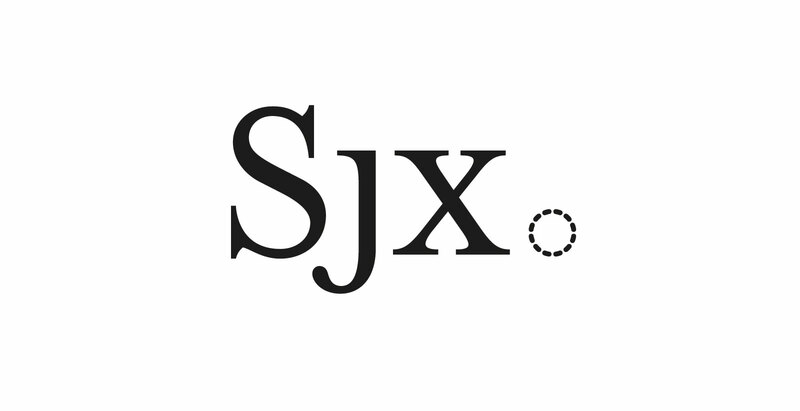 The new logo represents what Watches By SJX about: incisive, straightforward and the last word, represented by the period at the end. Up close, however, the period is actually made up of 12 sections, an abstract representation of time, and more literally, a watch dial or bezel. I am particularly proud to have worked with &Larry and its founder Larry Peh on the revamped website. Best known for its work with familiar Singapore brands like Killiney Kopitiam, The Marmalade Pantry and furniture specialist Xtra &Larry is no stranger to the watch industry, having put together the brand identity for The Hour Glass, one of the world’s most prominent watch retailers, as well as the milestone advertising campaign for Sincere Fine Watches. Named Designer of the Year at the 2014 President’s Design Award, Singapore most prestigious design prize, Larry was also named one of the top 40 creatives under 40 in Asia by Perspective Magazine.